Ever since I started You & Co. (formerly known as Momento Da Falova), I knew that I would end up being a DIY bride when it was my turn to get married. Its only because I knew what I wanted and had too high an expectation. There were so many things that I wanted to put together but I knew I shouldn't over-do things and that I had to start from somewhere. 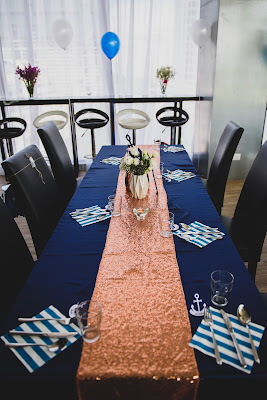 So we started off by deciding the theme which was "Rustic Nautical Elegance". Why the theme, many asked. NAUTICAL - The both of us have been wearing the same anchor bracelet since our first monthsary of dating and that the both of us had agree to nautical ever since. RUSTIC - The both of us like all-things vintage. 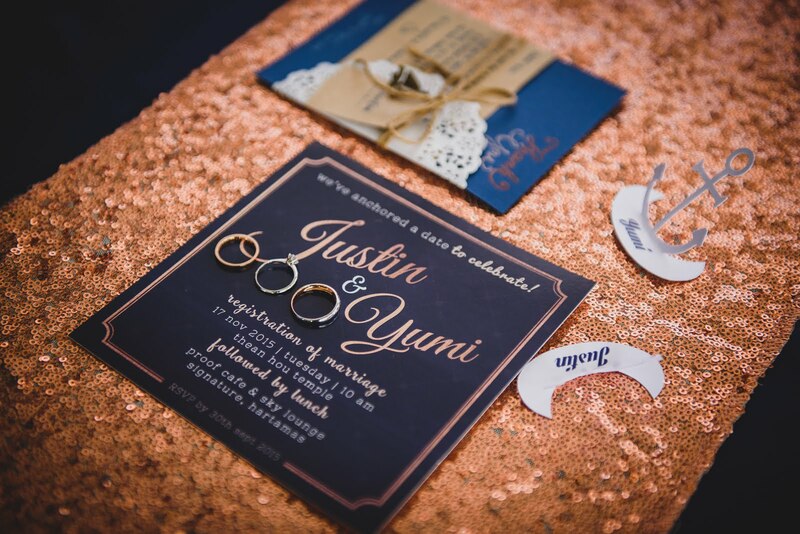 Which is why we included hints of vintage touch to our Thank You Cards as well as cake table. 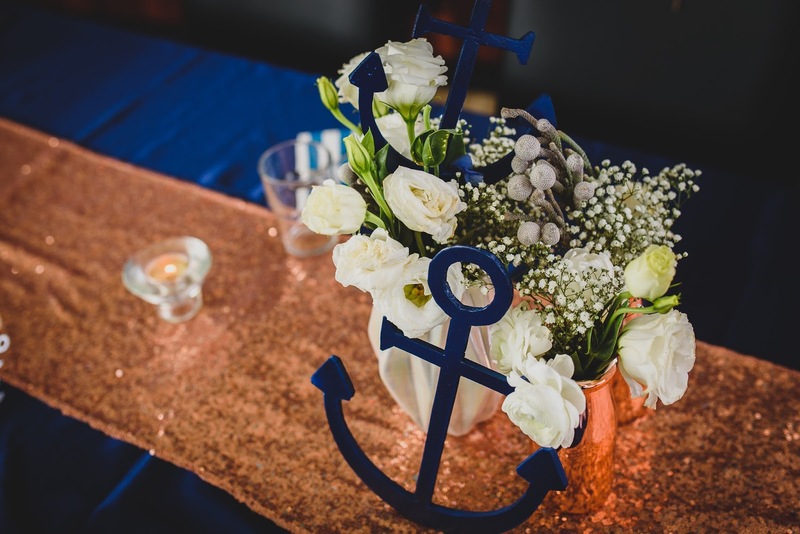 ELEGANCE - A combination our favourite colours of Navy & Rose Gold. Although I've already had tons of ideas running on my mind, we still had to decide on a venue before coming up with a sketch on how the final outcome would look like. Right after we've finalized details with the venue, I could finally start work. Truth is, our e-invitation card was designed way before we had anything fixed. So all we had to do was finalize and fill in the needed details and it was ready to go. Well, the planning and pre-preparations went quite smoothly. Not until I was left with a couple of weeks before the actual day and was still waiting for my parcel to come. 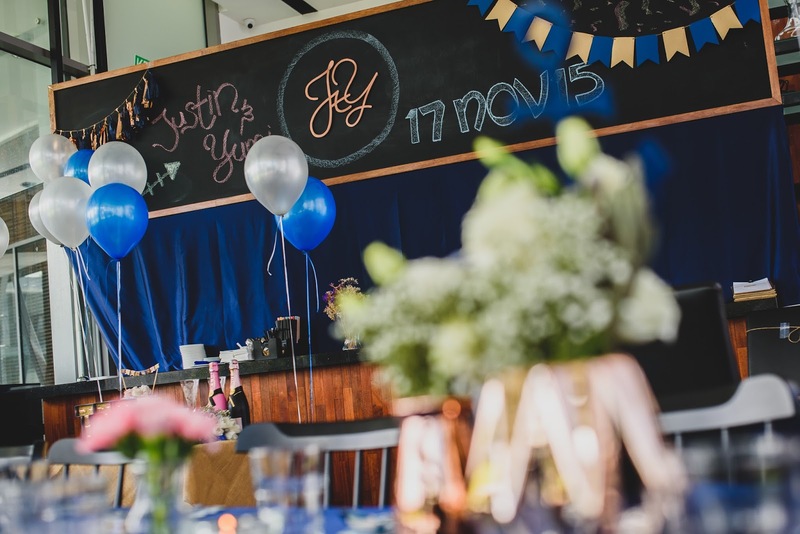 I guess the most stressful part of the whole process was budgeting and setting up of the venue which I had to split into 2 different sessions - the night before for all the hanging decorations and 15 minutes before my guests arrives at the venue. With only 15 minutes to set up on the day itself, it could only mean that I wouldn't have time to take pretty photos with my hubs at Thean Hou Temple but thank god for awesome friends who understood what I wanted and assisted me in setting the place up before the rest of our guests arrived. Although I didn't exactly achieve what I've really wanted (due to budget constraint and limited access to supplies), I still am pretty happy with the final outcome. At least this was an intimate affair, I don't think I'd be DIY-ing my actual wedding day but I'm pretty sure I'll still be in-charge of the whole planning process. Overall, it was indeed hectic and a lil stressful being a DIY bride but nothing beats the satisfaction after everything is in place and done!